Many children from reservations live in survival mode. They aren’t dreaming of their future because, often, they don’t know what tomorrow will bring. 100% of your gift will provide day-to-day necessities such as food, clothing, shelter, healthcare and a quality education for the Lakota children to grow. The cycle of poverty, alcoholism, drug addiction, gangs and trauma must be broken. Yes, I want to be a DreamMaker and give automatic monthly gifts to ensure the Lakota (Sioux) children are provided for year-round. Receive a FREE insulated lunch tote as a reminder of how your generous monthly gift provides Dreamsfor the Lakota children every day. Do not send me my insulated cooler tote as a thank you gift. Use all of my donation to help Lakota students. 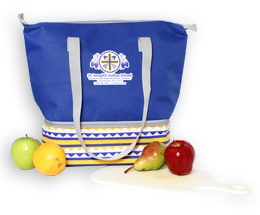 Receive a FREE insulated lunch tote as a reminder of how your generous monthly gift provides for the Lakota children every day.